If you spend a lot of time at your computer, you may find that your wrists aren’t getting proper support. Don’t settle for those gel filled sacks of sadness they sell at office supply stores. Instead, get a Cute Stuffed PC Wrist Rest and enjoy the added cuddle bonus. This cute little plushy is actually a wrist rest. They stuffed keyboard it holds is for you to rest your arms on while you type so that you maintain proper support while you’re working. This helps ward off typing related injuries. As a bonus, this comes with a super adorable stuffed animal to cuddle while you work. You don’t have to use the stuffed toy; the keyboard is removable so you can put the toy up for a time when you really need it. Like directly after your next performance review. 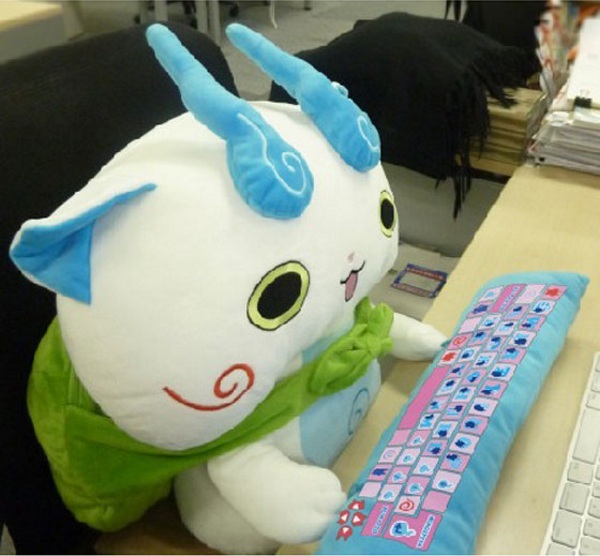 Either way, this as an adorable and useful stuffed toy that will likely add a little cheer to any office environment. As an added bonus, you can hide snacks in its backpack. 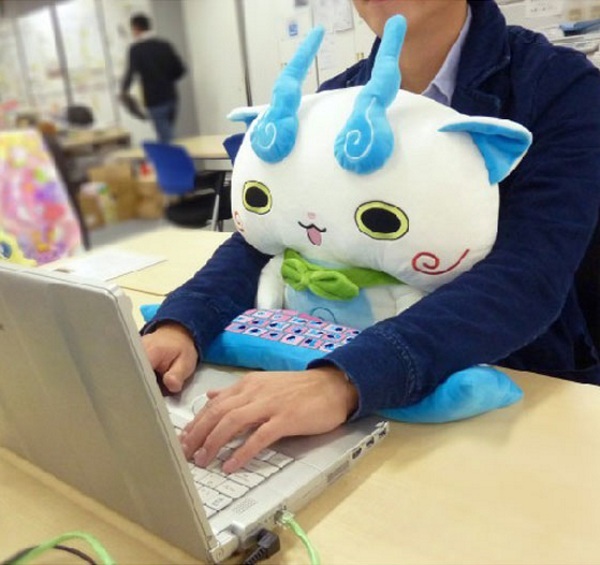 The Cute Stuffed PC Wrist Rest is ¥5,616.